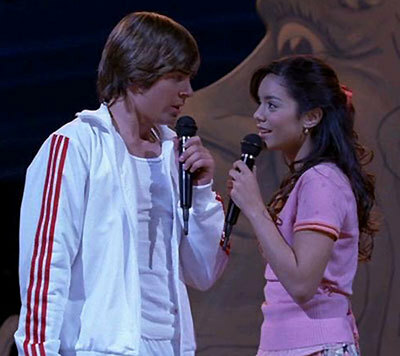 Do wewe think, that Kelsi and Ryan got to be a couple in HSM3? Does Vanessa au Gabriella look zaidi pretty? if wewe could be any character who would it be? What do wewe like most about Troy Bolton and Kelsi Nielsen? Via: (looks down) What are wewe doing here? Via: So what would wewe name her? Via; What do wewe mean? Harry: I want to spend my lifetime with you. You're the one. (kneels down) Will wewe marry me? She began uandishi on her journal..
With Jeline at their house. at the living room. kusoma a magazine..
Liam: (hugs back) Why are wewe saying sorry? The inayofuata day.. Via at Starbucks around 7:30 a.m.
Jane: Are wewe two dating? The inayofuata day, Via went to the boys. The boys were about to leave..
Harry: (getting worried) Have wewe seen Via? Harry: Oh thanks wewe answered my call.. I called wewe ten times last night and wewe didn't answer. Via: (carrying the cat) wewe think Harry would like this cat? a poll iliongezwa: What is Jason’s mpira wa kikapu number? EVITA- Difficulty of playing kinanda score.